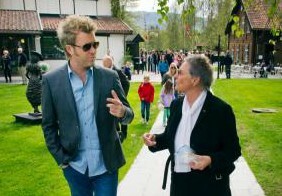 Around 600 people were present at Blaafarveværket on Saturday the 19th, as the museum opened its doors for the season. One of the main attractions this year is Magne’s partly retrospective exhibition in a timber barn at the Nyfossum area of the museum. “It’s always exciting to hold an exhibition, especially with these works that haven’t been on display for a long time”, Magne told newspaper Drammens Tidende as he arrived. Drammens Tidende also has a picture gallery from the opening, where the guests included former prime ministers Kåre Willoch and Kjell Magne Bondevik. 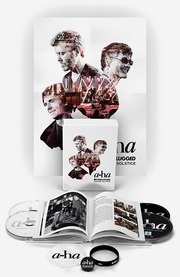 Last week, dagbladet.no had another interview with Magne in connection with the exhibition (includes a video clip). The exhibition is open until September 23rd. 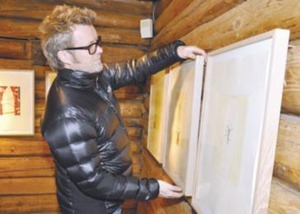 Magne visited the Blaafarveværket museum yesterday, to prepare his big – partly retrospective – summer exhibition (see Dec. 15th story) which opens next Saturday, May 19th. Today there are interviews with him in VG, Bygdeposten and Drammens Tidende. There is also an 8-minute video interview at tvmodum.no, where you can see many examples of what will be on display – woodcuts, graphic prints, ceramic jars and more. “The exhibition features a lot of art from the 1990s, including series of works that have never been exhibited in Norway or Europe before. It’s been really fun to bring this out of hiding, and combine it with some of my newest works”, Magne told Bygdeposten. The exhibition is held in an old, wooden barn, which makes for a special experience. 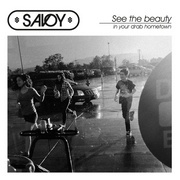 “It’s both exciting and challenging to work in such buildings and surroundings. When it works, which I feel it does here, it creates a great connection between the room and the artwork. 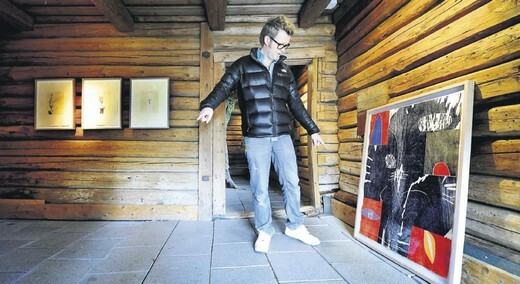 And the woodcuts fit naturally together with the timber walls”, Magne says. There is more information (in English) about the museum and exhibition at blaa.no. Magne will be exhibiting at the Blaafarveværket museum in Norway next summer – more specifically in the wooden barn at Nyfossum. Sverre Følstad at Blaafarveværket says this will be the first time Magne revisits previous art projects to present a retrospective exhibition. It will apparently include “monumental woodcuts”. The exhibition is open from 19 May to 23 September 2012. A PDF folder can be downloaded here.